The #10yearchallenge is the ‘trend’ of the moment with people sharing a photo of themselves ten years ago comparing it against one from the present. Some are tagging it as showing off their #GlowUp or #HowHardDidAgingHitYou. Some celebrities are using it to show change and how good they still look! If you look at it flippantly it’s a fun social media trend but, I’d encourage you to look a little closer. 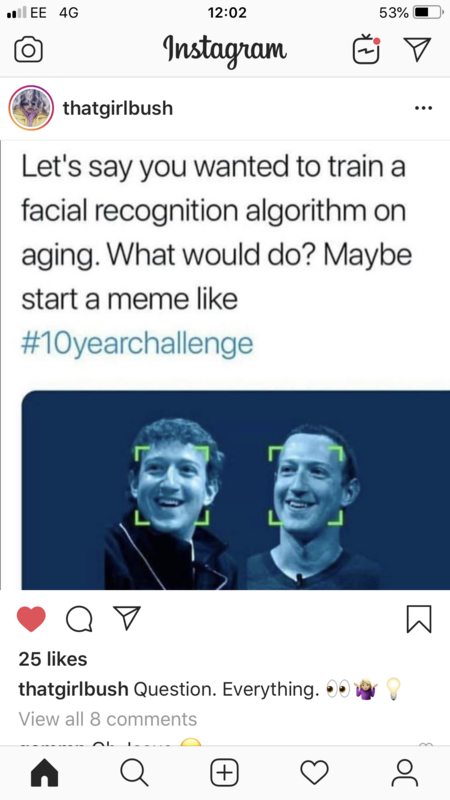 There’s a pretty convincing rumour going around that this has been started by social media giants, tech companies and entities like Google to solve the problem facial recognition technology has with the natural process of ageing. With all the restrictions surrounding data use there’s very few ways you could access the level of detail you’d need to teach algorithms to recognise similar traits in people as they age. Algorithms can’t look into the future of course, they can only learn from the past and make predictions. And, the #10yearchallenge is the perfect solution to get people to willingly serve up that data publicly, in a side by side comparison! This is a such a simple, effective solution to a very difficult problem. It’s also very different to the creative campaigns I’ve featured before. This is not an advert, risk or luck, it’s a smart way to manipulate a trend to side step all the rules and achieve one very specific goal. Genius! There’s not a great deal to analyse on the PR side here, it’s a brilliant creative solution to a problem. I mean don’t get me wrong, it’s a tad on the scary side but you can’t fault it’s merit! Forbes have written an excellent breakdown on the data surveillance side of things, and as that’s not my specialism I’ll point you in the direction of that article. While most people are using this to show off either how bad they looked ten years ago or how youthful they still look there are some who have high-jacked the trend to show the most important #10yearchallenge which is climate change. For brands and PR this is really exciting as there’s no budget it’s a viral hit based around a hash tag and there’s a lot to learn from it. You don’t need big budgets, you don’t (always) need a complex strategy, you just need one simple idea and to execute it well. There’s also been an opportunity for brands to piggy back on the meme too and join in the fun! And, then there’s always the people who just don’t get it! 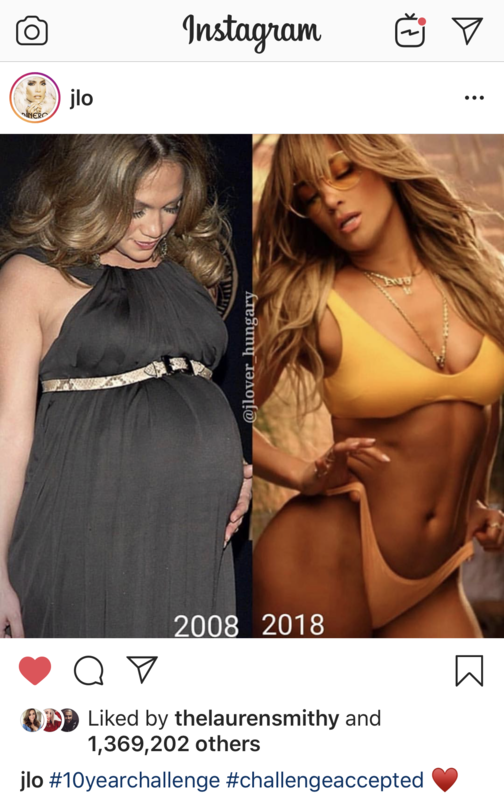 Did you take part in the #10yearchallenge? Did you question it or just think it was a bit of fun? You don’t have to be an eggs-pert to crack Instagram!